With an increasingly mobile workforce internationally, the need for good communication becomes greater. 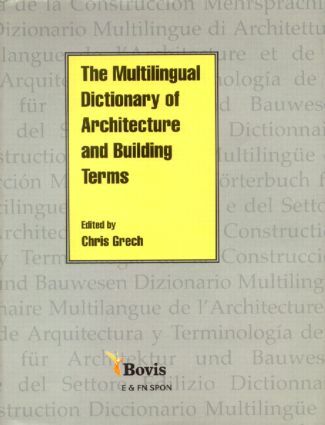 This new dictionary lists over 2000 key terms used in building design and construction in English, French, German, Spanish and Italian. The emphasis is on terms used most regularly in the design office and day-to-day running of a building job on site. Circa 2500 terms in 5 languages: English. French. German. Italian. Spanish.